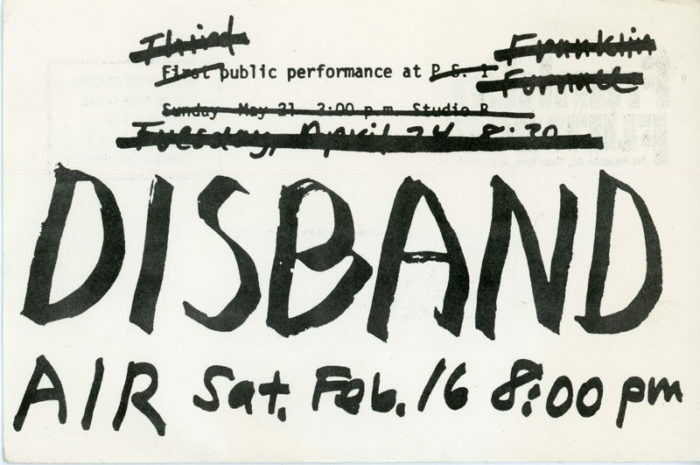 Postcard for a performance of Martha Wilson’s all-female sound performance group, Disband, at AIR, 1979. Card is repurposed from an original P.S. 1 performance, with original location and date crossed out. Disband included artists Martha Wilson, Ilona Granet and Ingrid Sischy.